Not long after Labor Day, you’ll start hearing it. “Get your flu shot!” But do you really need to? Yes. The CDC says everyone over 6 months old should get a flu vaccination every year. It’s the surest way to protect yourself from the flu. “The flu vaccine stimulates your body to make antibodies,” says Patricia Winokur, MD, a professor of internal medicine and infectious diseases at the University of Iowa. They help your immune system fight flu viruses when you come in contact with them. You’ve probably heard about someone who got their vaccine but got the flu anyway. It happens, but the vaccine still helps even if you get sick. It makes the illness less severe than it would be without it. 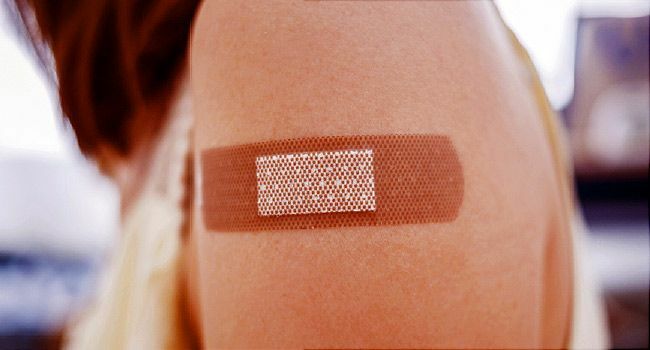 People who get a flu shot are less likely to need to go to the hospital. And even if you’re healthy and not worried about getting sick, get a flu shot to protect your loved ones. Babies, young kids, older adults, and those with chronic health problems can get seriously sick from the flu. You can get the flu any time of year, but flu season generally lasts from October to May. Get vaccinated before it ramps up, ideally by the end of October. It takes about 2 weeks for your body to fully build up its defenses after the vaccine. Keep in mind that some kids will need two doses, spaced about a month apart. Better to get them started early. But if you forget until later in the year, don’t worry that it’s too late to matter. “If there is flu circulating, it’s worth getting it,” Winokur says. Many doctor’s offices, pharmacies, clinics, and health departments give flu vaccines. Your workplace or school might offer them, too. A regular flu shot. This is how most people get the vaccine -- through a needle, usually in the arm. It protects against the three or four flu viruses that scientists predict will be most common this year. High-dose flu shot. Doctors recommend this vaccine for people 65 and older. Because the immune system gets weaker with age, a higher dose gives them better protection against the flu. Nasal spray. You inhale this vaccine through your nose, no needles required. But some people shouldn’t have it, such as kids younger than 2, adults over 50, and pregnant women. People with some medical conditions also shouldn’t get it, including kids ages 2-4 with asthma. The spray is an attractive option for kids who are afraid of needles, but pediatricians say that the shot is still the best way for kids to get the flu vaccine. If you have severe allergies to an ingredient in the vaccine, like eggs, antibiotics, or gelatin, talk to your doctor about what to do. There may be other types of the vaccine you can get. You hear it over and over, but the truth is the flu vaccine won’t give you the flu. It’s made with dead viruses, pieces of viruses, or weakened viruses, which can’t give you the flu. Some people have mild side effects, like soreness where they got the shot, a low fever, or body aches. If you get the nasal spray vaccine, you could get a runny nose or headache. William Schaffner, MD, medical director, National Foundation for Infectious Diseases; professor of preventive medicine, department of health policy, Vanderbilt University School of Medicine; professor of medicine, division of infectious diseases, Vanderbilt University School of Medicine. Patricia Winokur, MD, director, Vaccine and Treatment Evaluation Unit, University of Iowa; professor of internal medicine, University of Iowa Health Care; executive dean, University of Iowa Carver College of Medicine.